Agua Fresca is one of the traditional Mexican beverages. We’ve made one, and kicked it up a notch or 5. 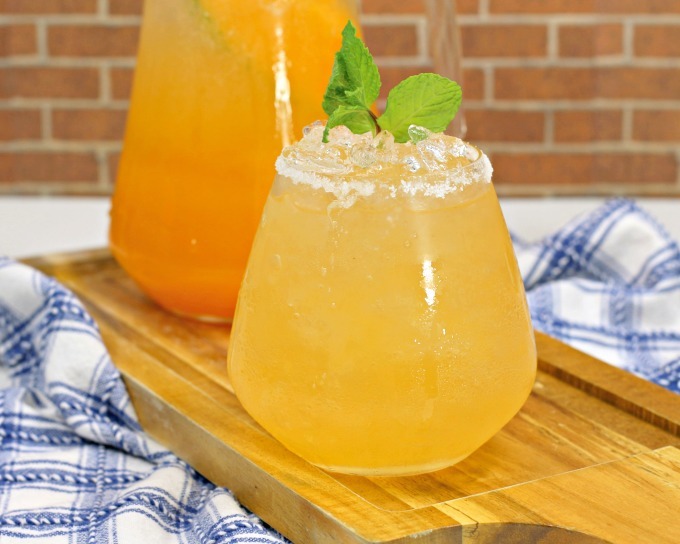 This Boozy Cantaloupe Agua Fresca Cocktail is perfect for Cinco de Mayo, or any time you want something light and refreshing. I know that spring just barely arrived, but let me tell ya – summer is going to be here before we know it. This cocktail is going to take you through the warmer months, and will be something you reach for again and again. The best part is, this drink recipe is easy to make. It takes some prep time, but after that, you’re smooth sailing. It’ll also keep for a couple days, so you could start the preparation for the agua fresca the day before a gathering, and make your drinks the following day. 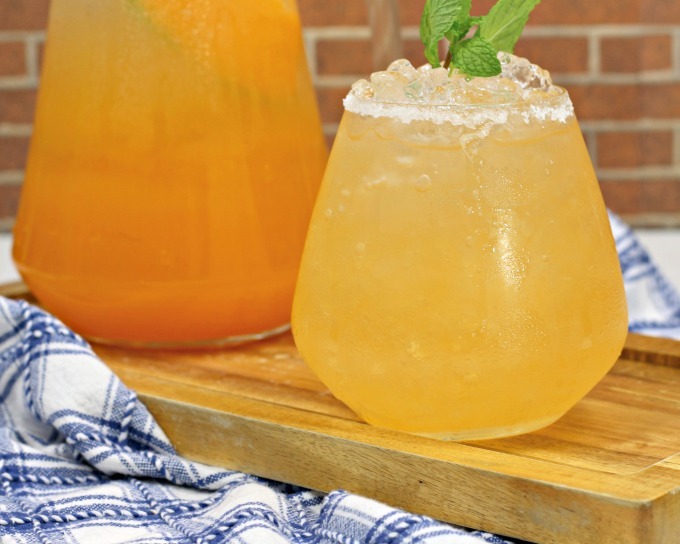 There are a few things you’ll want to make your Boozy Cantaloupe Agua Fresca Cocktail easier. The first is a blender or a juicer. If you have a juicer, that’s awesome, and perfect. If not, use a blender and a strainer. You’ll also want plenty of ice to keep your drinks cold. A countertop ice maker is amazing. I have this ice maker and it works so well. And this cocktail recipe calls for club soda. You can get the mixers at the store, of course. But if you entertain a lot, you might want to look into getting a Sodastream. Peel and seed your cantaloupe and cut into chunks. Larger chunks are fine. Place your cantaloupe chunks in a blender and pulse on puree until completely blended. Pour the cantaloupe puree through a strainer and discard the pulp. If you have a juicer, run the cantaloupe through the juicer instead. Add the cantaloupe puree juice, lime juice, simple syrup, tequila, and citron vodka to a cocktail shaker filled with ice. Shake until well combined. Run a lime wedge around the rim of a glass and dip the rim in salt. Fill a salt rimmed glass with ice and strain the cantaloupe mixture over. Isn’t that easy and delicious? 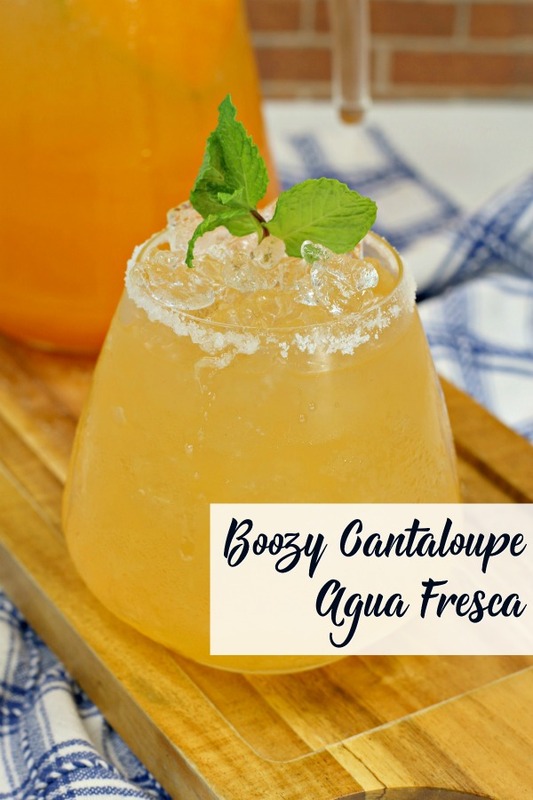 The best part is that you can easily make a pitcher of this Boozy Cantaloupe Agua Fresca. Make it a mocktail by leaving the alcohol out. And if you’re having drinkers and non-drinkers over, make a virgin batch, and add the alcohol to individual servings. It’s really easy to adjust.